Live Baby Live, by legendary Australian rock superstars INXS, is one of the most electrifying concerts ever filmed. Directed by David Mallet (Duran Duran, U2), Live Baby Live features all the band’s most identifiable hits performed during the sold-out UK "Summer XS" event at famed Wembley Stadium in London. Including all the hits and fan favorites, such as "Need You Tonight", "Never Tear Us Apart", "What You Need" and many more. Sometimes I encounter musical acts that I feel I should really like but don’t. They fit with my normal preferences and create decent work but just don’t light my fire. Into that category falls INXS. The Australian band always seemed like a gang I should enjoy, but other than one song – “New Sensation” – their music never did much for me. Nonetheless, I felt interested to get a look at them as a live act. Actually, I once saw them in person, as they opened for the Go-go’s way back in 1984. However, I’d not heard of INXS prior to that show, and I possess absolutely no memory of their performance. 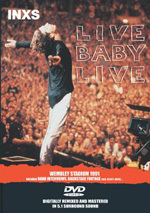 Live Baby Live documents a July 13, 1991 INXS concert at London’s Wembley Stadium. The band’s summer tour found them in support of their X album, and the 21-song DVD presents seven tracks from that record: “Suicide Blonde”, “Disappear”, “The Stairs”, “By My Side”, “Who Pays the Price”, “Know the Difference”, “Bitter Tears” and “Hear That Sound”. 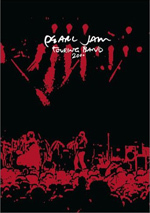 (An eighth X track – “Lately” – also shows up as a bonus song on this DVD.) 1987’s smash hit Kick gives us a whopping ten tunes: “Guns In the Sky”, “New Sensation”, “Need You Tonight”, “Devil Inside”, “Mediate”, “The Loved One”, “Wild Life”, “Never Tear Us Apart”, “Kick” and “Mystify”. That doesn’t leave room for many pre-1987 songs, but a few appear. We get the title track and “What You Need” from 1985’s Listen Like Thieves plus “Original Sin” and “Send a Message” from 1984’s The Swing. This means we get nothing at all from 1982’s Shaboo Shoobah, 1981’s Underneath the Colours, or 1980’s INXS. For what it’s worth, Baby seems to capture INXS at their commercial and creative peak, and their confidence comes across well on stage. Actually, I’ll admit that they seem a little too pumped for the concert. At times it feels like the musicians want hard to act like rock stars but they don’t really get there. To be sure, the band sounded pretty good this night. Since I don’t count myself as a fan, I can’t compare this performance to earlier ones, but they seemed pretty “on” during this occasion. The musicians annoyed me when I watched them, but if I sat back and simply listened, I could forget their posing and enjoy the tight connection they displayed. Their clear bond helps make the music more enjoyable. As I noted, “New Sensation” is the only INXS song I ever really liked, and I can’t say this DVD changed my feelings terribly. I’ll probably need to let a few days lapse and see if any of the other tracks stick in my head. Right now, I can’t think of any that stand out terribly strongly, but I also can’t conjure any real duds. Instead, the songs represent fairly high quality rock. The numbers definitely come to life better on stage than in the studio. Part of the reason I never cared for INXS’s albums stems from their sterility. The band always felt cold and calculated on their records, and these lacked much spark or real visceral punch. On stage, however, INXS help make up for that. This performance infuses many of the songs with much greater power and punch than heard in their studio incarnations. I doubt anyone’s directed more rock concert videos than David Mallet, and he provides pretty typical work here. Actually, the early moments seem somewhat choppy, as Mallet employs too much quick cutting among bandmembers. However, he soon takes his Ritalin and calms himself. Efficient and effective, Mallet covers the action well but the video never rises above that level. Mallet is basically the “Old Reliable” of the filmed concert world. You won’t get anything fresh or innovative from him, but he gives you a clean and accurate representation of the original event, which seems fine with me. I went into Live Baby Live without much affection for INXS, and I can’t say the DVD radically changed my mind. However, I did find a lot to like about the band’s work from this fairly fiery and exciting live performance. The show brought their music to life about as well as one could expect, and it seemed like a good document of a notable concert. Live Baby Live appears in an aspect ratio of 1.33:1 on this single-sided, double-layered DVD; due to those dimensions, the image has not been enhanced for 16X9 televisions. For the most part, Baby looked pretty good, though it showed its age at times. Sharpness seemed acceptable to positive. Occasional shots came across as moderately loose and ill defined, though not to a terrible degree. Otherwise, the show presented fairly accurate and distinctive imagery. Occasional signs of jagged edges or moiré effects occurred, but these also remained fairly infrequent and they didn’t intrude on the proceedings too badly. Shot on 35mm film and not video, Baby betrayed occasional source defects. I saw periodic example of specks, marks, and hairs. Again, these weren’t excessive, but they caused some distractions. Colors tended to be acceptably rendered but unexceptional. Tinted lighting appeared fairly concise and firm, though blows sometimes looked somewhat runny and messy. Colored clothes lacked great impact and presence, but they were fairly bright and accurate. Blacks looked slightly flat and pale at times, but not terribly so. Low-light shots became a little troublesome as the show progressed. The performance started in daylight and slowly melded into night, and the image didn’t handle the transition with great aplomb. Nonetheless, despite some inconsistencies, shadows usually presented clear and appropriately visible elements. Actually, the show looked better as the evening progressed; the nighttime sequences presented stronger visuals than the earlier ones. Ultimately, Baby seemed somewhat above average. I felt the same about the audio of Live Baby Live. The DVD offered both Dolby Digital 5.1 and DTS 5.1 soundtracks. To my surprise, I preferred the Dolby affair to a small degree. I’ll discuss my thoughts about it first and then explain the differences I perceived. The soundfield seemed pretty active. As one might expect from a concert presentation, the forward channels dominated and offered mostly music. Hutchence’s vocals stayed nicely centered and the instruments created a good stereo image around him. These elements seemed appropriately placed and melded together well to form a nice impression of a live performance. The surrounds offered some instrumental reinforcement but mostly focused on crowd noise and general reverberation to give us a stadium feel. It did this well and lacked and obvious and distracting gimmickry. Audio quality varied. Vocals occasionally sounded a bit muddy and excessively bassy, but they usually came across as natural and distinctive. Instruments came across as accurate and portrayed the appropriate sounds. Guitars buzzed and jangled, while drums punched across well. Bass response provided the weakest link. Low-end came across as passable but never better. Those elements lacked the depth and presence I’d expect. In comparison, the Dolby track seemed stronger for a couple of reasons. For one, it offered slightly stronger bass response, as the DTS mix offered even less visceral low-end. The DTS version also demonstrated a little distortion, particularly via vocals; not a lot of edginess occurred, but more than in the Dolby edition. Finally, the DTS track presented a mushier soundfield. At times the instruments seemed to be appropriately localized, but on others they lacked clear placement and appeared like one moderate blob of music. In the end, the Dolby track came across as the more satisfying one. A mix of supplements appear on Live Baby Live, and we start with an audio commentary from the band. (They never identify themselves, but the track seems to include all the surviving members of INXS.) They sit together for this running, screen-specific piece. Boy, what a waste of time! The guys talk a lot but say very little. Mostly they just joke with each other and babble about nothing in particular. Occasionally they’ll make some almost-sort-of-interesting remark, but those seem incredibly few and far between, and since they tend to talk over each other, it becomes difficult to listen to this track. Die-hard INXS fans might get something out of this commentary, but I couldn’t find anything of use in this dud. Next we find a newly created documentary called Wembley XS. This 37-minute and 20-second program presents archival footage and interviews with INXS keyboardist/guitarist Andrew Farriss, saxophonist/guitarist Kirk Pengilly, guitarist Tim Farriss, drummer Jon Farriss, bassist Garry Gary Beers, and Baby producer Mark Opitz. We see soundcheck footage and other behind the scenes images of their big day. In addition, we learn about issues with the British press, personal perspectives on the day and the event, choices for clothes, what it’s like to play Wembley, and other topics. In an interesting detail, Hutchence discussed his eyesight and how it impacted on his performances. “XS” presents a pretty interesting and useful look at the concert. Created back during the INXS summer tour documented on this disc, Talk Baby Talk lasts 24 minutes and 59 seconds. 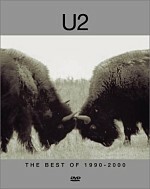 It consists of 1991 interviews with all the bandmembers. They talk about their early touring days and their thoughts about playing live and traveling to perform. They discuss the impact this had on their career and other elements of the band’s history and their music such as which numbers they like to play live and how they wrote some of them. The black and white program looks like death – it resembles a 97th-generation video – but it provides a surprisingly rich and informative examination of INXS and their work. 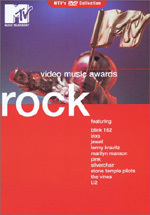 An 18-page booklet completes the set. This includes some handwritten notes completed on the day of the concert by an unnamed party – Hutchence? – plus contemporary text written by bandmembers Jon Farriss, Tim Farriss, Kirk Pengilly, Garry Gary Beers, Andrew Farriss. The journal comments are cool to see, but the band text from 2003 doesn’t offer much introspection beyond the “it was a great show” level. The booklet also includes some photos and mementos of the experience. In a nice – and rare – touch, all of the video-based supplements come with English subtitles. The main program also presents English subtitles with lyrics and between-song patter. I went into Live Baby Live with a lukewarm attitude toward INXS, but I rather enjoyed this solid 1991 concert nonetheless. It didn’t win me over to their cause, but I liked most of what I heard and saw and thought it demonstrated their strengths well. The DVD featured generally good picture and audio plus an erratic roster of extras; the two documentaries seem informative, but the commentary provides nothing of use. Overall, Live Baby Live provides a fine concert experience.